For the clean lift-offs, lift the barbell to your mid-patella and pause for 2 seconds, then return the barbell to the ground. MUST CATCH BALL FOR REP. Reminder: Scores for 17.5 are due by 2:00pm today (Hawaii time)! We are also following a modified schedule in honor of Kuhio Day - NO 7:00pm CLASS! Coach B is coming back to 808! 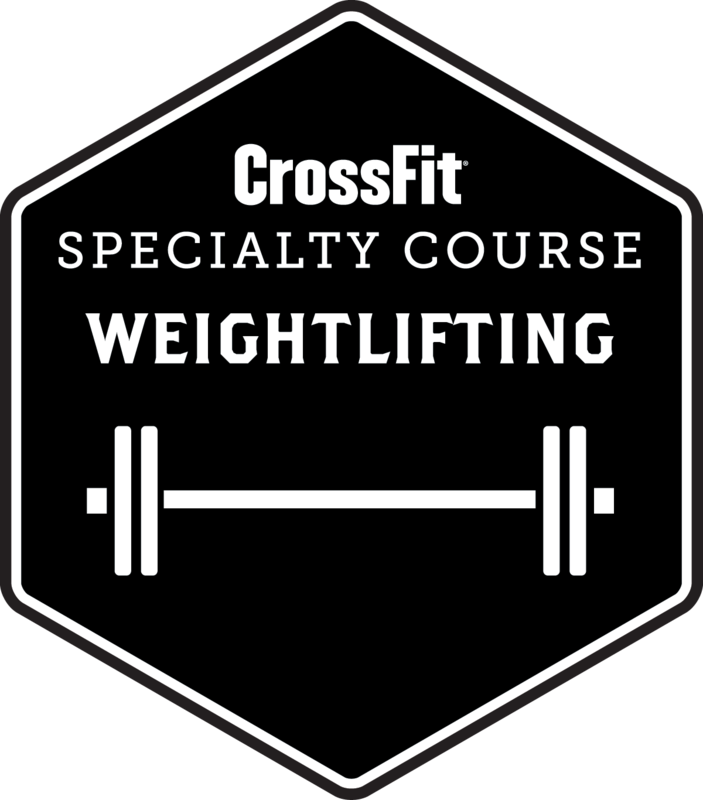 We are excited to host the CrossFit Weightlifting Course on April 8th and 9th! Coach Burgener himself will be leading the course with his awesome daughter, Sage Burgener, as his assistant coach. This might be the last one in Hawaii for awhile, so do not miss this amazing opportunity to learn from the very very best. Spaces are filling up fast, so please do not wait to register. You do not need the Level 1 certification to attend this course. All levels are welcomed! 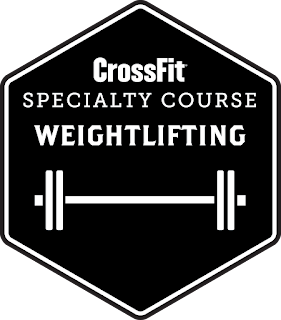 Click the link to register: https://crossfit.regfox.com/wlhonoluluapril2017. Scheduling Reminder: We will be following a modified schedule on Monday (Kuhio Day) - NO 7:00pm CLASS! Mindbody already reflects this modification. Partners must run together, and may only start KBS once both members are back in the gym. Doors open at 5:00pm, first heat will start at 5:30pm. IMPORTANT: Please help us out and find street parking for this event. We expect a large number of athletes and we do not want to have to ask you to move your car in the middle of your warm-up or workout. Thank you! Reminder: Deadline to sign-up on MINDBODY for registered Open athletes for Friday classes and FNL is 4:00pm today (Thursday). Heat schedule will be posted shortly after. *No MU, sub 30 Ring/Box Dips. Build to today’s heavy double. Reminder: Please make sure you are signed up by 2:00PM today for Second Chance Sunday (tomorrow). Coach Burgener is coming back to 808! Reminder: Do not forget to sign-up for a class or Friday Night Lights if you are a registered athlete in the Open. Deadline to sign-up for 17.4 on MINDBODY is 4:00pm today (Thursday). This is week 4, please do not make up lame excuses for why you forgot. Log-in and sign-up now! Reminder: Do not forget to sign-up for a class or Friday Night Lights if you are a registered athlete in the Open. Deadline to sign-up for 17.4 on MINDBODY is 4:00pm tomorrow (Thursday). This is week 4, please do not make up lame excuses for why you forgot. Log-in and sign-up now! Reminder: DLS occurred yesterday (Sunday), so score submissions for 17.3 are due by 2:00pm today! Plug your scores in! Reminder: If you plan on redoing 17.3 tomorrow at Second Chance Sunday, please remember to sign-up on MINDBODY by 2:00pm TODAY. Heat schedule will go up soon after. We are expecting quite a few athletes tomorrow, so PLEASE MAKE SURE YOU ALL FIND STREET PARKING. The church has Sunday services all morning. You will be asked to leave if you try to park in the parking lot. Kate will be out there monitoring the parking lot. Thank you. Note: These are just the athletes that are registered for the Open. If you signed up to attend a class but are not registered in the Open, you are good to go. REGISTERED ATHLETES, please let me know whether you plan to go RX or SCALED tomorrow so we can be better prepared. Thanks! Reminder: If you are a REGISTERED athlete in the Open, please make sure you are signed up for a class time or Friday Night Lights by 3:00pm tomorrow (Thursday). *Build across the 10 sets to today’s heavy single. Reminder: If you are a REGISTERED athlete in the Open, please make sure you are signed up for a class time or Friday Night Lights by 3:00pm Thursday. Reminder: Do not forget to plug in your scores for 17.2 by 3:00pm today (MONDAY). Go to games.crossfit.com, log-in and plug it in! On to the next one! Reminder: If you are wanting to hit 17.2 tomorrow, make sure you are signed up on MINDBODY by 4:00pm TODAY. "Second Chance Sunday" will start at 10:30am, doors will open at 10:00am. YOU MUST FIND STREET PARKING FOR THIS EVENT. New Hope has Sunday services throughout the morning and have the parking lot reserved. Build over the course of the 6 sets to a heavy 5-rep. Reminder: If you are a registered athlete in the Open, PLEASE SIGN-UP ON MINDBODY FOR A CLASS OR FNL. Thanks! B. Take 15 minutes to build to today’s 1-RM Clean. No Strict HSPUs, sub 21 Hand Release Push-ups or Piked Push-ups off floor.